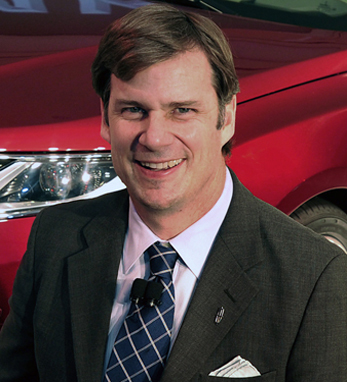 James Farley is Ford Motor Company’s executive vice president of Global Marketing, Sales and Service, and is the company’s most senior marketing leader. Before being appointed to his current position this past September, he was also the senior global leader for Lincoln and served as group vice president, global marketing and Canada, Mexico and South America from September 2009 to 2012. 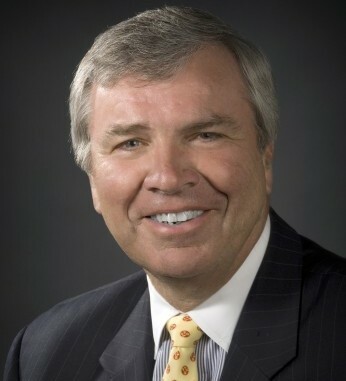 Before joining Ford, he was group vice president and general manager of Lexus. James joined Toyota in 1990 and had a distinguished career there, a highlight being his responsibility for the successful launch and rollout of Toyota’s new Scion brand. James was later promoted to vice president of Scion and was responsible for all Scion activities. A cousin of the late comedian Chris Farley, James Farley earned a bachelor’s degree in economics and computer science from Georgetown University and has an M.B.A. from UCLA. His grandfather was a longtime Ford worker who eventually ran a Lincoln-Mercury dealership near Detroit. James and his wife, Lia, have three children.